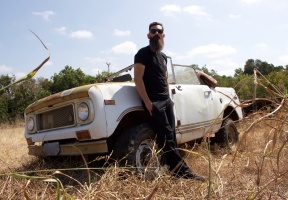 Following “El dúo mecánico”, the renowned mechanic and car designer has opened his very own auto shop and now embarks on a new adventure with CAMBIO DE VELOCIDAD CON AARON KAUFMAN, the new Discovery en Español series premiering Monday, July 23 at 9pm E/P. 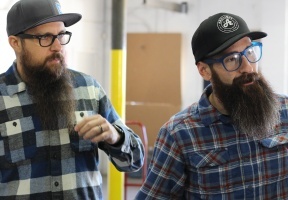 After departing Gas Monkey Garage in 2016, Kaufman decided to open his own workshop, Arclight Fabrication, in Dallas, Texas. Together with his brand-new dream team of carefully selected experienced mechanics, Aaron is fully dedicated to customizing different types of vehicles to prove that top performance is the leading reason for pride at his new shop. Kaufman and his team work tirelessly to overcome the limitations of vehicle remodeling and business growth while constantly putting their experience, endurance, and creativity to the test. For more information, follow us on facebook.com/discoveryenespanol, Twitter @DiscoveryenESP and Instagram @discoveryenespanol.